Those interested in following developments in the smartphone industry will have noticed that the writing seems to be on the wall for the humble 3.5mm headphone jack. It’s not just a trend instigated by smartphone makers such as Apple and Google, Intel published an official proposal, back in April 2016, that could see such a transition become far more widespread. Perhaps it really is time to change, as the original 6.35 mm connector often found on non-size restricted and pro audio equipment was invented in 1878. One of the reasons stated by device makers for getting rid of the 3.5mm headphone jack was that it adds to device thickness. That assertion is not without detractors: for example, someone retrofitted a 3.5mm headphone jack to an iPhone 7 Plus. While it was a tricky job and costly for the individual, it would be a cinch for Apple R&D to have integrated a 3.5mm jack if there had been a top-down desire to do so. Fast forward to the present day and if a device was designed so thin that it was a physical impossibility to integrate a 3.5mm headphone jack, Microsoft has just shared its answer. 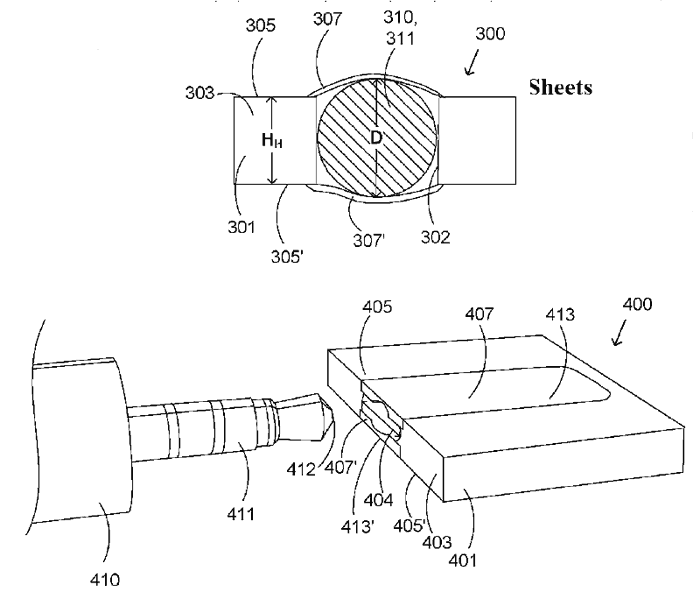 The Redmond firm has patented an expanding headphone jack that basically allows a 3.5mm connector to push in, expanding the receptacle. Thus, phones could be thinner without losing this port which is useful for various accessories beyond headphones. There are easily observed drawbacks to Microsoft’s design. First of all, device makers would have to pay something to Microsoft for using the patented design. Secondly, there is an added complexity to manufacturing. And thirdly, the small expanding mechanism might be a point of product failure over several months of use. It will be interesting to see if any Surface devices come packing this redesigned 3.5mm port in future. My water proof Xperia has a 3.5mm jack on it. I don't see the problem. I think 3.5mm is thin enough as it is, I'd rather they shrunk the insanely large screen sizes instead of slowly creeping up to what will eventually just be a portable TV.